Imagine you have just moved to your brand new house. 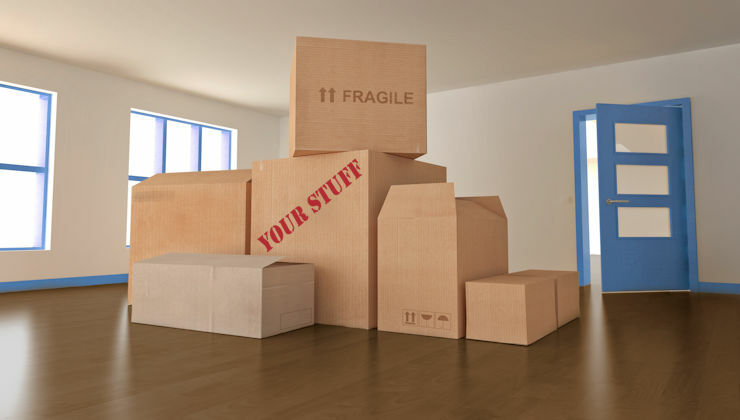 After all of your belongings have been unloaded from the truck and piled up in the middle of the living room, you carefully arrange your furniture and other stuff in such a way that everything is comfortably in the right place. You would be surprised and probably a little frustrated to find everything piled up in the middle of the living room again next time you enter the house after you went for groceries. After all, it took quite some time and effort to have everything well-organized and operational in order to feel completely at ease. Taking it all one step further into chaos, just imagine you have planned to watch your favorite football team play a seriously important game with your friends. The food and drinks are all there, but all of a sudden you are compelled to do your own bit of warming up by looking for the TV set as it is obviously not where you last put it. And then, when you finally found it, you’re faced with an even bigger challenge to get all the TV channels under the right and until recently familiar button. So much for a memorable night of sports! What remains is the pleasure of enjoying a nice cold beer, if you can find the fridge that is. Strangely enough, in IT environments it is quite common to reenter your familiar user environment only to find that everything is back in its original ‘setting’! Worse still: even if you manage to save the settings for one particular device, you might find different settings for other devices you use. It’s like having to set the TV channels every time you sit in a different chair watching the same TV. That just doesn’t make sense, right? Thank God for the Scense user environment management solution. Our Live Profiles feature makes sure that your settings follow you as a user, offering you a real context-aware user experience! Even in the unfavorable event of your house getting destructed (i.e. a system crash), you can simply use your keys to go next door where you will find your own customized environment including all of your settings, just as you left them before your old house collapsed. With additional functionalities such as smooth and rapid application delivery (ensuring access to applications instead of mere shortcuts), and Adaptive Installer, Scense provisions, configures and manages ready-to-use Windows applications in real-time. It does so regardless of the Microsoft Windows operating system version used and throughout the entire landscape of physical and virtual desktops, laptops, terminal server sessions and unmanaged PC’s. The users get a personalized workspace with applications, settings and data wherever they decide to logon. Would you like to know more about Live Profiles, Workspace Management or other Scense solutions?